Lloyd Park is an oasis found in the hustle and bustle of Croydon, conveniently located next to some of the city’s best transport links. Spanning over an area of 114 acres, many see Lloyd Park as a hidden jewel in suburban Croydon – the perfect setting for The Butterfly Effect Festival. 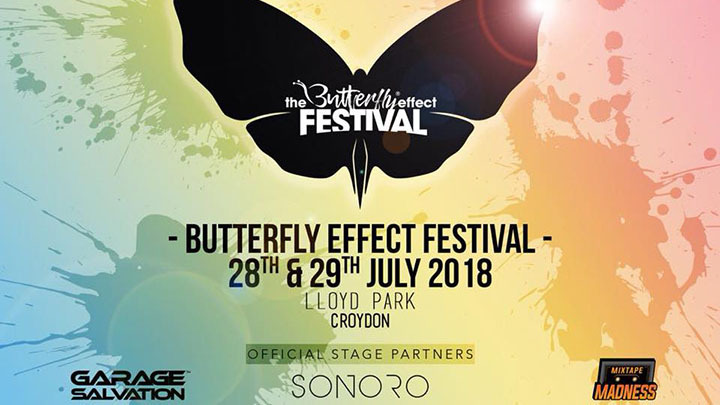 From the birth of dubstep to the emergence of jungle and garage, Croydon has always been a vital town when it comes to underground music and they are welcoming the towns first ever house, techno and garage focused festival in The Butterfly Effect Festival.